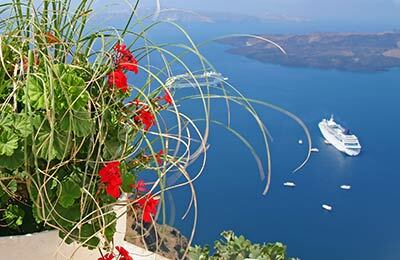 The port of Ios is well connected with the Islands of Naxos, Paros, Mykonos, Santorini, as well as Heraklion in Crete, Piraeus and many others by the ferry operators ANEK Lines, Blue Star Ferries, Hellenic Seaways and Lane Sea Lines. Below, you can find a list of the latest timetables for ferries from Ios, alongside a list of our best prices. Whichever route you take to reach Ios, you are certain to have a great journey with any one of these well known Greek ferry companies. The island of Ios is situated between the Cycladic Islands of Naxos and Santorini and is approximately 100 miles from the mainland port of Piraeus. Like many Greek island ports, the port of Ios is only basic but functional. The small size of the island means the port is very easy to find. The Ios ferry port, also known as Gialos harbour, is quite a lively and bustling port in the summer months with a number of ferries arriving daily from mainland Greece and other popular Cycladic Islands. 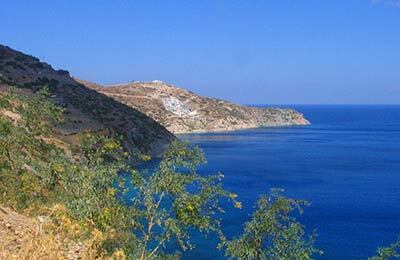 From there the bus or a 15-minute walk up the steep donkey path takes you to the village, known as Chora. This is a white and very picturesque cycladic village, full of stairs and narrow walks making it inaccessible for cars of any kind. The port does not have many facilities on offer, however Gialos itself has a nice sandy beach and there are many tavernas and bars along the seafront, allowing you to relax and enjoy a cold drink, whilst waiting for the ferry. The port on Ios is easily found from the whole island - just follow the signposts.